This is one of the first shooters I’ve ever reviewed. I don’t normally think about this genre of games in-depth so it was interesting to actually figure this out. Luckily, I got a good game to practice on. There are games that strive for realism, and then there are games that are just born with it (insert Maybelline reference here). Rising Storm—the multiplayer-only standalone expansion for 2011’s Red Orchestra 2: Heroes of Stalingrad—aims to create the most authentic military shooter out there, complete with dusty environments, interactive combat squads, and incredibly low defense for players. There are games that include optional realism modes for more daring and challenged players. This one is built right in. Like Red Orchestra 2, Rising Storm takes place during World War II, although this time the action’s over in the Pacific. Players choose between the Allies and the Axis, and even though Tripwire is based in Georgia (literally right down the street from Paste’s games editor, no less), neither side is drastically superior. Each has its own weapons and abilities, although the basics and roles are relatively the same. There are multiple player options on each side—32 to be exact—including snipers, rifle specialists, commanders and squad leaders. As in a real war, each person has specific skills, weapons and roles they must play in a variety of games and maps based on real-world battles. If there ever was a game for military enthusiasts, this would be it. Even without the prior knowledge, Rising Storm is an interesting history lesson. 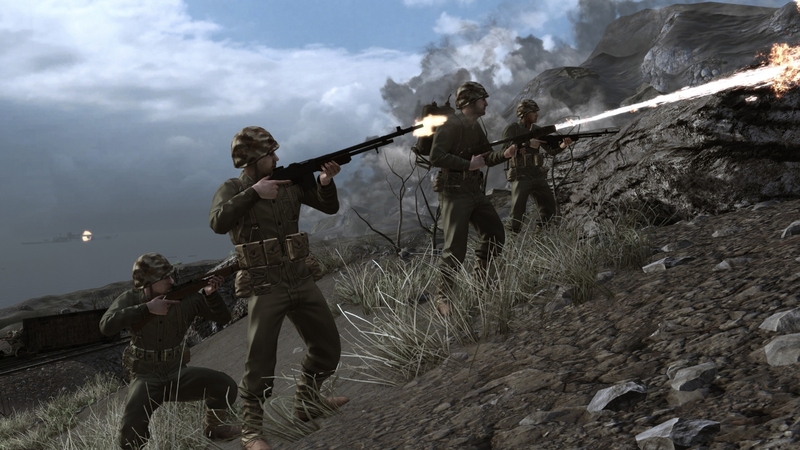 The game attempts to recreate the Pacific campaign during 1941 and 1945 in battles between the Americans and the Japanese. There’s the Battle at Iwo Jima and the Battle of Saipan, just to name a few. It doesn’t bombard you with facts and dates (although they are there if you pay attention). Rather it immerses you in a real battle with what I can only assume are accurate weapons that you must utilize in specific tactical attacks that could mean the difference between life and death. As a World War II simulation, Rising Storm feels terrifyingly authentic.